She also went after Donald Trump for his anti-Latino comments. Democratic presidential candidate Hillary Clinton said last year that she would go farther than President Barack Obama did on immigration. WASHINGTON ― The future of immigration reform and deportation relief hinges on this election, presumptive Democratic presidential nominee Hillary Clinton said Thursday in a speech promising swift action on both if she makes it to the White House. Her vow to act on her own regarding immigration was particularly significant given the Supreme Court’s recent ruling that left President Barack Obama’s policies on deportation relief at a standstill. Clinton first said more than a year ago that she would go further than he did, and she said the Supreme Court’s split decision hasn’t changed that. Clinton said she would create “a simple, straight-forward system where people with sympathetic cases or who can show a history of service to their communities can make their case and be eligible for deferred action,” similar to the one that allows victims of labor abuses to stay in the country. She also promised a bill within the first 100 days of her presidency that would address the issue comprehensively, including a path to citizenship for undocumented immigrants. Her speech was an effort to solidify her support with Latino voters, a growing community that largely favors her over presumptive Republican nominee Donald Trump. She told the crowd that Latinos are the future of America and that they could decide the election, as long as they register and vote. That would include putting more politicians in Congress who support comprehensive immigration reform. Republicans appeared to be moving that way, or at least toward legal status for some undocumented immigrants, in 2013, when the Senate passed a reform bill co-authored by GOP senators. Even with a pro-mass-deportation candidate like Trump leading the party, Clinton argued, there’s still potential to get back to some agreement on the matter. Clinton’s speech went beyond immigration: She also promised efforts to close the wage gap, expand education opportunities and boost employment through infrastructure spending that she said would particularly help Latinos because they make up a significant portion of the construction industry. More broadly, she painted the election as a referendum on whether Americans want to celebrate the country’s diversity or oppose it, citing Trump’s attacks on Latinos, including an Indiana-born judge who the candidate said was biased against him due to the judge’s Mexican heritage. Clinton said Trump “is running the most divisive campaign of our lifetime” and telling people to be afraid of those with different ethnicities, religious faiths and places of birth. Generated from related, personalized and trending articles. View your news homepage. 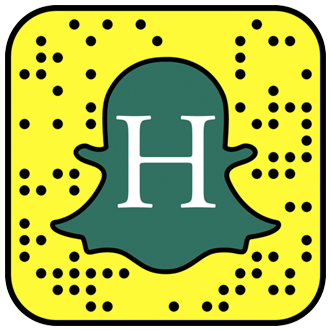 Copyright © 2016 TheHuffingtonPost.com, Inc. "The Huffington Post" is a registered trademark of TheHuffingtonPost.com, Inc. All rights reserved.